It's been some time since I posted an In Talks With session and this one is honestly long overdue. I have had the honor of meeting Joel and Melanie from HAYSTAKT to share with you their vision of making it easier for young, independent designers to sell and price their craft to the general public. They have recently launched a new section, named PROJECTS, aside from the typical ecommerce models you see for online shops. People would be able to order a limited piece based on designs that they like, and the more people order, the more the price lowers due to economy of scale and people are more likely to share the product idea to lower the price. Social. The designers are able to test their products, avoid overproduction waste, and price appropriately for an audience. Win win! I interviewed Joel further to find out more about his founding story and his vision for HAYSTAKT and PROJECTS. Naked Glory: What made you decide to start up Haystakt? 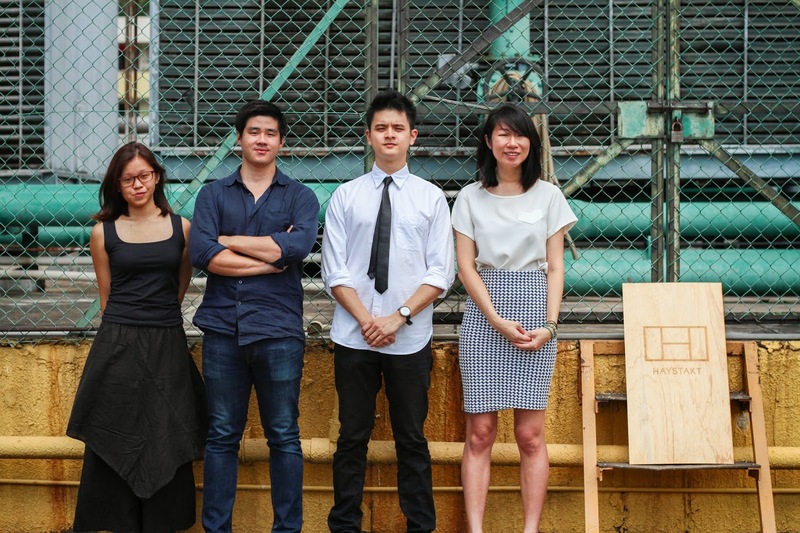 Joel Leong: I've always been fascinated by the intersection of business, design, and technology, and in recent years it coincided with the growth of the makers' movement. Consumer technology has made creativity accessible for anyone today, and will continue to reduce the barriers to entry. I believe that there is a creative soul in everyone, so I set out to build an internet company that would empower the commercialization of creativity. NG: How do you curate the designers and what do you look out for specifically? JL: We started out by curating designers on the marketplace through the lenses of craft and thought. I travelled Asia to meet many of them personally, learnt of their stories (and struggles), and made many good friends in the process. Some of the things we looked out for were their unique angles and stories, and many of them also produced things in small-batches. We are looking for the right time to open up the marketplace and let technology or people to do the curating, like in our new section Projects, that has always been the plan for the start. NG: What are some of your favorite things which you've purchased from independent labels? JL: It'd have to be an Atem Bag, Contemplative Objects by Ingrid Hulskamp, and my trusty pair of Timo Trunks. All of these designers have thoughtfully innovated on objects we often take for granted, while retaining a very stylish aesthetic. NG: How comparable are local designers to designers overseas, especially in traditional design centric countries like Sweden and the Netherlands? JL: It's hard to compare design standards across regions because a designer is very much tied to their audience. Plus design is about solving problems, each country has it's own problems and environments that require solving. So I'll say while there is talent in Singapore, design centric countries like Sweden and Netherlands have an advantage of a ready audience. NG: Singaporeans in general still prefer established high street brands rather than purchasing from independent designers, based from what I gathered from local designers, whom own their own labels and online stores. Do you think this trend will reverse just as how people have taken to indie cafes? JL: While there has been signals of change, adopting independent products is tied to deeper cultural and situational roots, so it will still take some time before that reaches mass adoption. 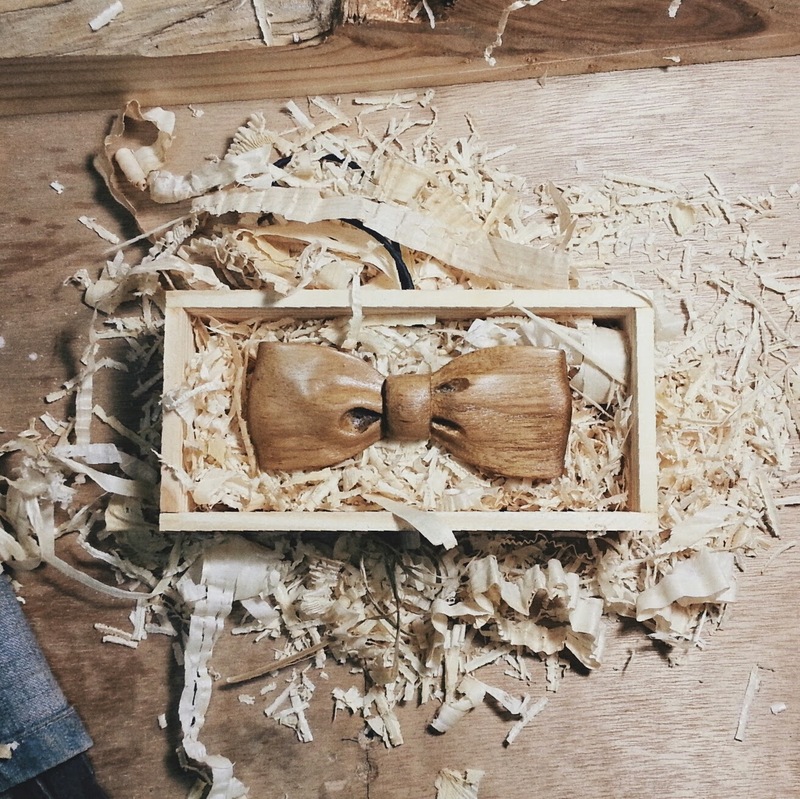 Many Singaporeans still find it hard to justify why locally made products cost more. One way to look at it is that Made in Singapore equals a certain quality, but being an Internet company we're also able to study customers and understand why they think a certain way. What we've learnt is that to win over customers, you have to satisfy them in many areas - price, quality, output, marketing, etc. Our country is a good example of how independent designers are limited in terms of their small domestic market, resulting in a chicken and egg situation where you can't produce enough to reduce your costs. I think this is the dilemma most independent designers and their audiences are caught in today. NG: Is there anything that you're currently doing to change that? JL: Absolutely! As an Internet company we're agile and can move quickly to respond to needs. So the moment we identified this as an issue and realized we could solve it, we started building Projects, which we just launched on Friday, 7th March. NG: Tell us more about your new initiative, Projects. 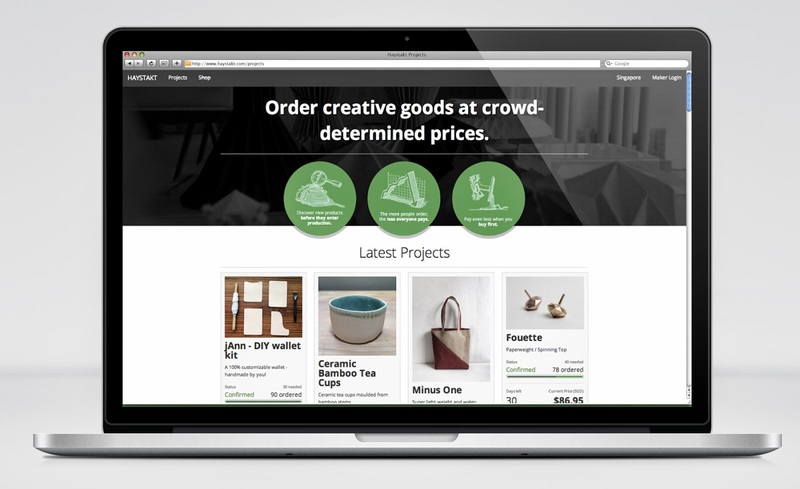 JL: Projects is the world's first Crowdpricing platform for creative products. It allows consumers to pre-order products at crowd-determined prices, meaning the more people order, the less everyone eventually pays. It's made possible by helping makers achieve economies of scale, and then passing on those cost savings to customers. We hope this will help bridge makers over the viscous cycle of low output and high costs, by taking those decisions to the purchasers themselves! NG: Do you think you're taking a leap of faith with Projects? JL: There's always an element of risk because you don't know how people will react until it's out there. What we do know is that we're solving an essential problem, and we designed it in a way to incentivize everyone. The nice thing is that when you're in control you try not to depend on luck. NG: Finally, describe your ideal day. JL: Breakfast at the beach or park, with a good read. An afternoon's worth of DIY projects, refurbishing or gardening. A drink to celebrate sundown, and a film to close in the evening. I suggest you to hop over to HAYSTAKT's blog for more thought-provoking content and interviews with the designers that they stock. And I'll leave you with something that I personally believe in - let's support good design and quality, made with passion and thought, instead of only supporting good brand names.